Prior to the consultation the doctor will review your case history. During the consultation the Doctor will ask you a number of questions regarding the history of your condition, other Doctors you may have seen and your current symptoms. It is important during the consultation that the Doctor gets a thorough understanding of your condition. It is also important to understand what health care goals the patient has regarding their care. Do you simply want symptom relief? Do you want reconstructive care to improve the spine as much as possible and stabilize it? Or do you want to improve your spine and health as much as possible? This is in order to PREVENT problems from happening in the future. We will also ask if you want help with your diet, vitamin and exercise programs. Once we know what your needs are we can then proceed to the next step. During the examination the Doctor will assess not only the causes of your complaints, but the condition of your spine and health in general. My intention is to treat your body as a whole, not just as a symptom. During this process we often discover underlying problems that have not yet shown up as symptoms. Some of the test may be familiar to you such as checking your reflexes and ranges of motion. Other tests are specific to Chiropractic. Many Chiropractors do not use x-rays. However, I prefer to use x-rays as a diagnostic tool during trauma cases, such as auto accidents or when red flags are discovered during the examination process. Please remember to see is to know, while not to see is to guess. We will not guess about your health. Once we develop and do an analysis of your x-rays we will review all of the information regarding your case. We will then determine the best treatment plan to match your health care goals. We will then go over your x-rays and exam findings in detail to explain the CAUSE of your problem. 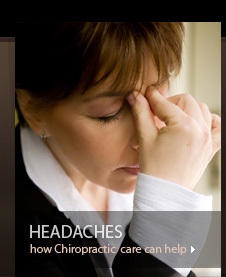 We will also review your health in general and the current condition of your entire spine. We will then discuss the steps necessary to correct your condition and reach your health care goals. We will explain to you the proposed treatment schedule and explain the reasons behind our approach to treating your condition. We will also discuss your other health care goals and show you how we can help you achieve them. Chiropractic adjustment is the method with which we realign the vertebra of the spine, thereby relieving the pressure on the nervous system and begin restoring normal nerve function. I adjust almost all of our new patients on their first visit allowing the healing process to begin immediately. In many years of experience I have treated thousands of patients of all ages and conditions. I have literally given millions of adjustments over the years. With this amount of experience I am confident that I will strive to provide you and your family with the best Chiropractic care available. The adjustment is what counts and I have the experience to get you the results that you are looking for.